Scope: One World. One People. One Standard. 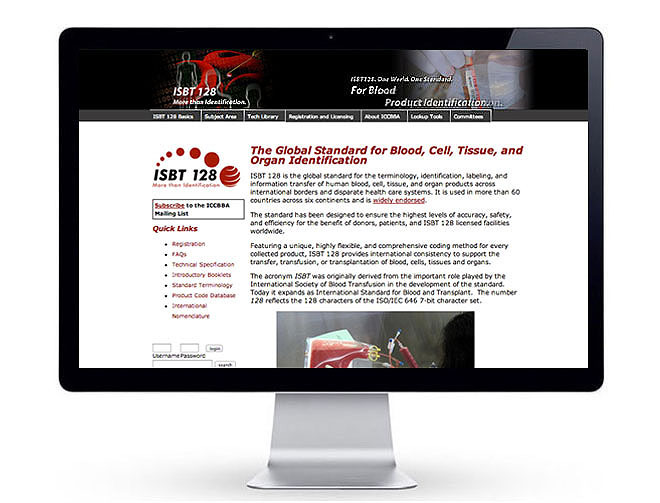 Mission: Establish the online resource site and membership conduit for the international standard in blood, tissue and organ identification, transport, and tracking, from donor to transplant beneficiary. Key Insight: Content Management Systems are critical in providing growing associations with online publishing systems they can grow with, not out of. SearchWrite recommended and employed one such turnkey system that was in use by the U.S. State Department as well as the Berkman Center for Internet and Society at Harvard. 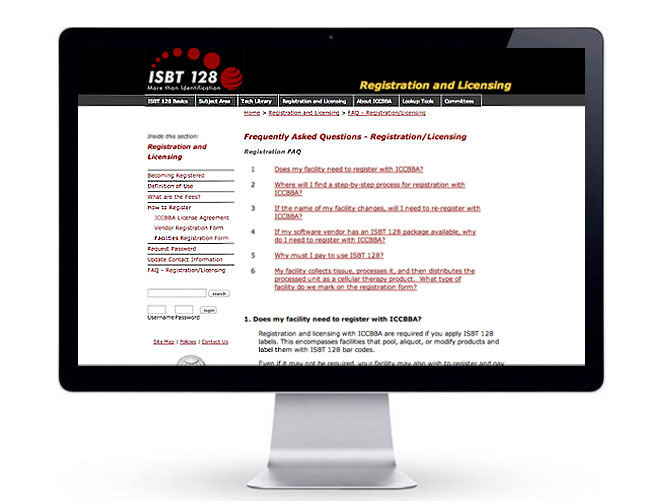 Among its many features, the WebGUI platform enabled tiered discussion group and document access at set permission levels allowing the organization to manage access between task group members, general members and non-members. 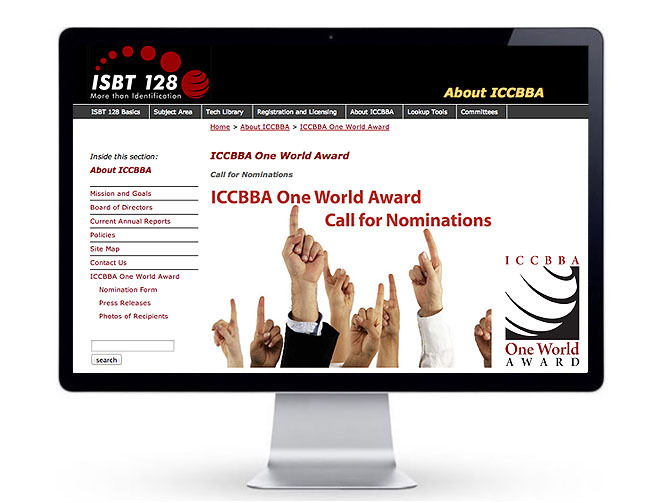 Perspectives: ICCBBA and ISBT 128 are committed to maintaining a global standard that transcends time and terrain. It was an honor for the organization to place its complete trust in our company, and turn to us for the design and creative composition of the organization's Annual Reports for the last six years running.